I'm not sure what quite to make of this book. 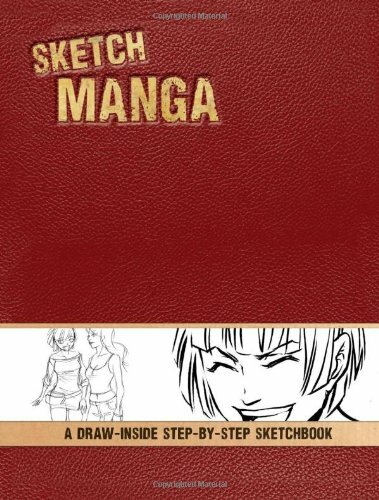 Sketch Manga isn't your typical instructional book on drawing manga. It's more like a workbook. There are 128 pages but only 30 pages have content, so the rest of the pages are just blank for you to draw on. The instructions are really simple, maybe too simple. Covers very elementary basics of manga drawing, such as the head, eyes, hair, body etc. The latter half covers selected character archetype and also anthropomorphic characters. Some reviewer on Amazon also mentioned that the pages are photocopied from some other books. Well, since it's from the same publisher (Impact), it's probably not a big deal. But, wow. I didn't know you can publish new books this way. LOL. It's quite interesting to see that there are positive reviews of this book on Amazon, and from those "Amazon Verified Purchase" buyers no less. The book is probably targeted at really young beginners. Even so, I would probably recommended other books with more substantial content.